Since its inception, RGH is providing hostel facilities for working ladies at companies & female students at universities of Islamabad. It is YOUR OWN HOME WITH FULL OF CONFIDENCE AND SATISFACTION. Rida Girls Hostel is a newly opened international level Hostel in Islamabad. 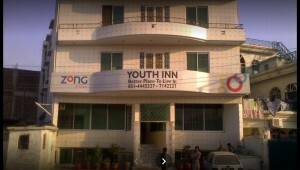 It has been catering AC accommodation, spacious rooms and lodging needs of the girls working or studying in Islamabad. Rida Girls Hostel is the first choice of females who are quality conscious and searching for a comfortable, ostentatious and epicurean place. A home away from home. 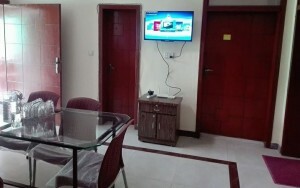 Furnished Rooms: Fully furnished neat and clean Tiled rooms with attached Tiled Washrooms. It also includes the single layer beds, mattress with mattress cover, pillow, curtains, and a separate Cupboard/locker. Meals: 3 times the best hygienic and well balanced nutritious home cooked food is served in Separate Dinning Hall. Water: Uninterrupted Water Supply with Water Filter and Geyser facilities. Wifi: 24/7 Hi-Speed broadband internet is provided to our residents. UPS: Power Backup is also one of the amenities we are offering. Television: LED Television facility with Cable TV Programme. Security: The hostel is fully surveillance with CCTV Cameras. Female Staff: Female Staff is available 24/7 with housekeeping facilities. Laundry: We provide Iron with Iron Stand. However, very nominal laundry packages are also available. Tuck Shop: A mini Tuck Shop is provided to serve soft drinks and snacks. Telephone, Fax, Printing, Photocopy and pre-paid cards also available. 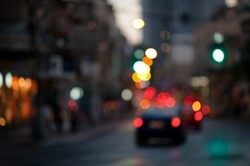 Transport: Pick and Drop service can be arranged to respective educational institutions and offices. Other amenities include the Looking Mirror, Quran and JayNamaz etc.